Alicia talks to Carrie Morris on her show, “Purpose Lounge” about growing up in a family of performing musicians, what success means to her, and what women can do when faced with negative feedback about their voices. She also gives some advice about vital client skills to anyone who is starting their own business. 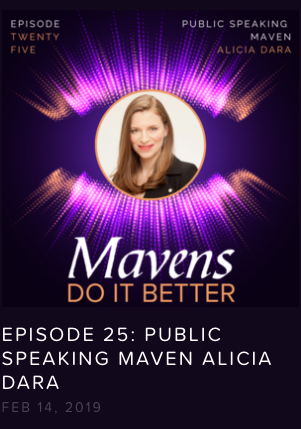 Alicia talks to Heather Newman on her show, “Creative Mavens” about her work as a voice coach, how she trains women to speak up in every area of their lives, and the incident in high school that set her on the path to becoming an activist. 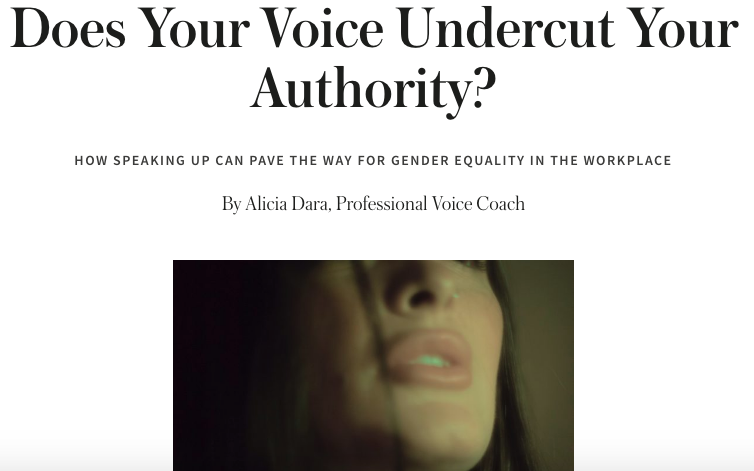 Alicia gives some tips about how to push back against gender-based criticism of your voice, how to strengthen it for use in the workplace, and how to harness the power of your breath. Alicia talks about self-care for your voice, her own self-care routine, and what a strong voice feels like. Read Alicia’s Letter the the Editor in the Seattle Times, about the expansion of Medicaid and it’s effect on the Seattle music community HERE.